Your Journey Awaits! La Bella Spa introduces an extraordinary evolution to the American Spa experience exclusively for you! Enter The Sanctuary-a whimsical spa circuit where 21st Century Wellness Goes Back in Time! Turkish Soap Medley and Herbal Stamp Massage from Arabia! Single and Multi-Day Wellness Programs are now available. 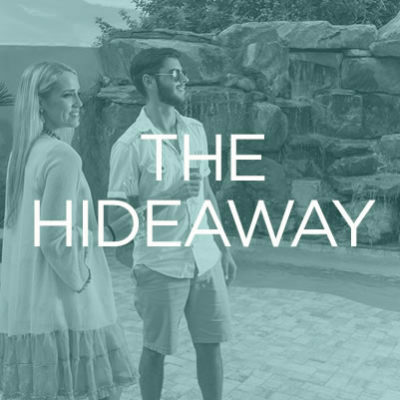 The Hideaway features the awe Inspiring Water Attraction Tranquility Falls! Fortified with 20 tons of Tennessee Field Stone, rushing waters pour into a large therapy pool where you can relax and unwind. Tranquility Falls also serves as the perfect backdrop to our Tropical Inspired Treatment Cabanas featuring Coconut &amp; Pineapple Body Scrubs, Organic Skin Care, Couple’s Massage, Bamboo Therapy and So much more! Daily Adventure Passes and the up and coming Spa Adventure Club will offer access to The Sanctuary and The Hideaway with exciting rewards! I have enjoyed a recurring dream for over three years, where i enter a spa with a stone waterfall and open pool, and feel supremely happy and relaxed. I’ve visited spas in my travels, and never found that place…heard about your renovations, visited the website today, and see a picture that looks almost identical to the spa in my dream. I am very excited to come and enjoy the Thermarium and spend time relaxing in the therapy pool! Thank you for creating this dream-comne-true!